On Friday, July 28, Habitat for Humanity of Berks County received a generous donation from Glen-Gery Reading Masonry Supply Center. 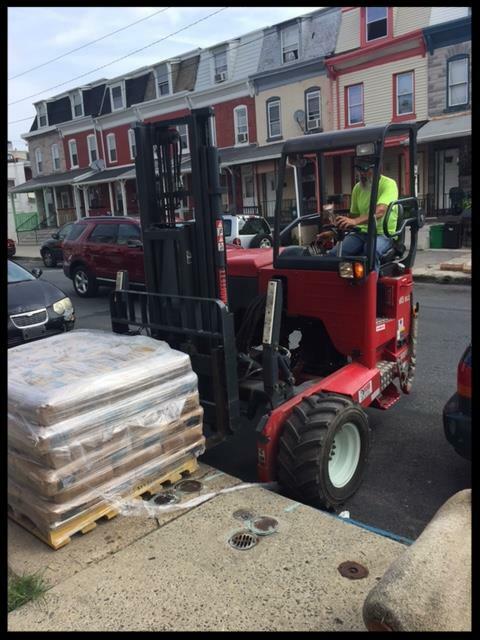 This donation included materials to parge (stabilize the basement walls) in houses 638 and 648 Tulpehocken Street. These building material with an estimated monetary value of $850 was a result of a new partnership that has been established between Habitat and Glen-Gery Masonry Supply Center. A special thank you to the Brick Center Coordinator at Glen Gery Wendi Hataloski and the Human Resource Director at Glen-Gery Corporation Sarah Coburn for coordinating this donation. 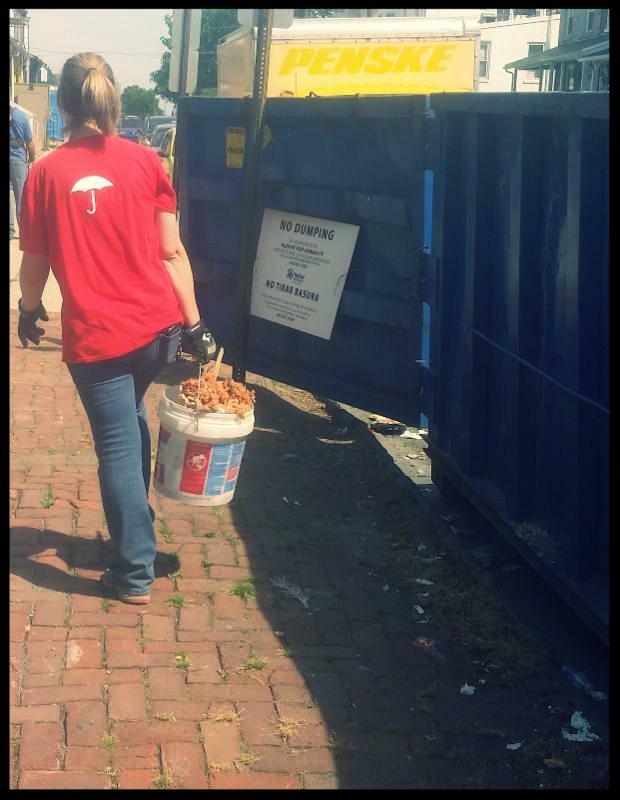 Traveler's Insurance has an ongoing partnership with Habitat for Humanity International where they have been able to volunteer for a day as well as make the pathway for a grant to Habitat berks through Habitat for Humanity International. On Thursday, June 29 a group of 15 volunteers from Traveler's Insurance, an organization that volunteers with Habitat on our job sites every year, spent the entire day working on the 638 and 648 Tulpehocken Street projects. We are extremely grateful to have the Traveler's group as volunteers and as a partnering organization. In collaboration Habitat for Humanity of Berks County, the Reading Berks Conference of Churches (RBCC) hosted "Love Mob" an informational event at Baer Park on Saturday, July 22nd. Headed by the Executive Director of RBCC, Michael Kaucher and his wife Pamela Kaucher, this event in cluded other participants such as Thrivent Financial and bible groups from several churches in Berks County. The event's objective was to inform the residents in the neighboring area about Habitat's projects on Tulpehocken street. Hot dogs and drinks, courtesy of Berks Packing Co. Inc, and Turkey Hill were handed out to the attendees. The attendees also received informational packets about Habitat which included the eligibility criteria for new home owners. Home owners , Tania Rosero and Roberto De La Paz, stand with the Executive Director of Habitat for Humanity of Berks County, Timothy Daley, and their three daughters, Raquel, 12, Carmen, 9, and Genesis, 4, outside of their new home. 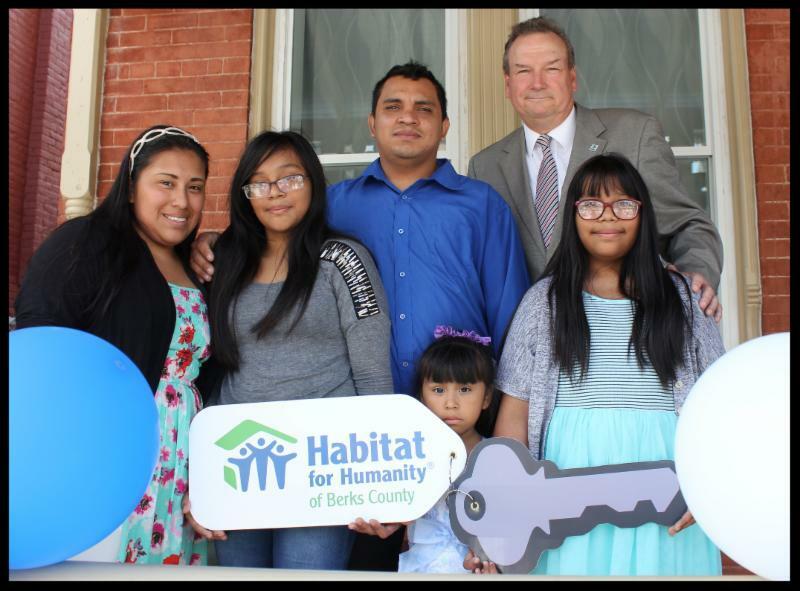 Habitat for Humanity of Berks County hosted a dedication ceremony with the De La Paz-Rosero family, at 140 Oley Street in Reading, on Saturday, August 5th. The family contributed more than 300 hours of "sweat equity" alongside Habitat volunteers to build their new place to call home. The De La Paz-Rosero family purchased the house from Habitat and makes payments on a 0% interest mortgage period of 30 years, demonstrating Habitat’s vision to give families a "hand up" rather than a "hand out." BCTV - "UpCycle your Habitat"
This is a monthly TV show showing how to turn old furniture and accessories into repurposed items for your house or gifts for friends and loved ones. 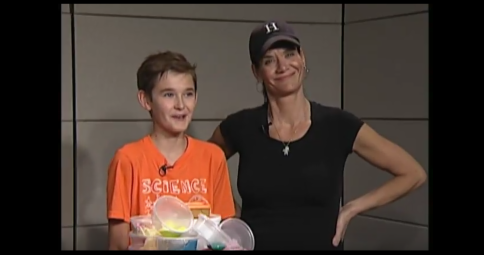 On the sixth episode of "Upcycle your Habitat," Heather DeTurk and her son talk about making slime and more with Mark Ratcliff. Don Gemmiti talks about Habitat for Humanity on UpCycle Your Habitat. 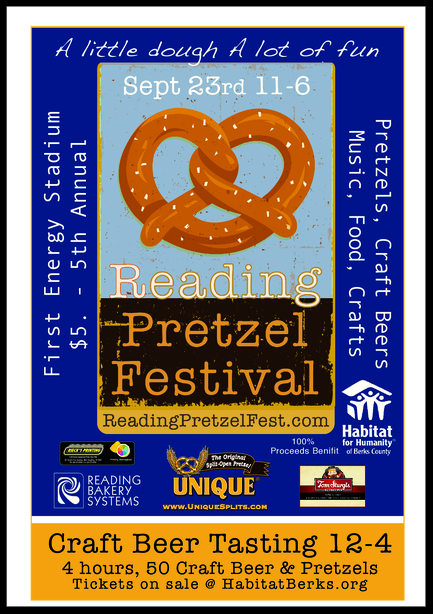 The Fifth Annual Pretzel Fest is on Saturday, September 23rd at the First Energy Stadium. This year's pretzel vendors include Unique, Tom Sturgis Pretzels and Pretzel Revolution. Craft beer brewers include Stoudts Brewing and Black Angus Rest. Three locals bands will be featured at the event and will also include kids and adult pretzel games and contests. General admission is $5 and admission for Beer tasting is $45 . Show this article at the gate and receive $5 off your Beer tasting ticket. Please log on to our website www.habitatberks.org for tickets. Tickets may be purchased at the door as well. 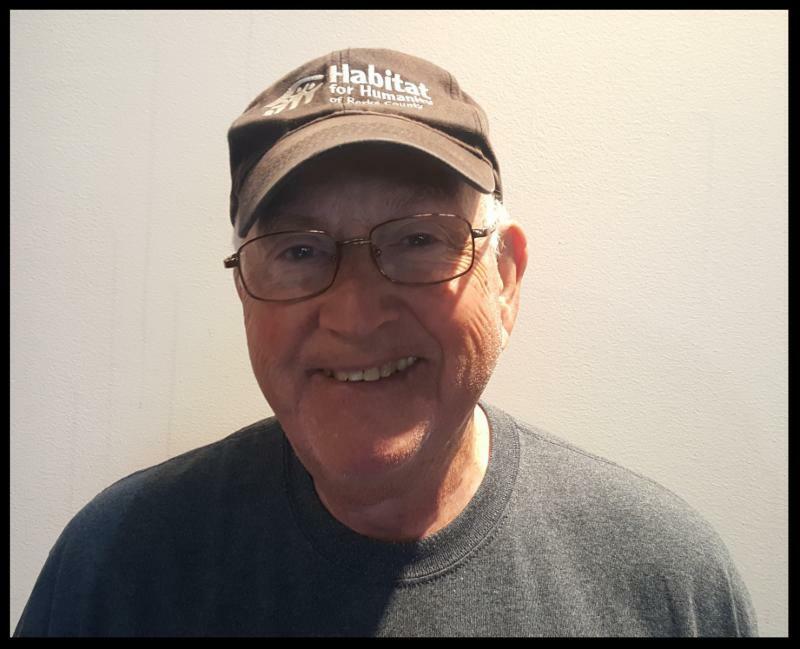 William Haney has been a Habitat Woodshop volunteer for over seven years. Initially from Mifflinburg in Central Pennsylvania, Bill is an Industrial Arts graduate of Millersville University. Bill is married to Janet, a first grade teacher at Reading High School; has three children-two boys and one girl as well as six grandchildren. Early in his career Bill worked as a Graphic Arts teacher at the Stroudsburg High School. After moving to Reading he took on the position of Industrial Arts Supervisor in vocational programs, acted as a grant writer and served as an acting vice-president of Reading High School. As a Habitat woodshop volunteer, Bill works with seven other volunteers in making cutting boards, benches, tables, wine racks, planters, stools, specialty birdhouses, dog houses, picnic benches, pizza trays, playhouses and other custom woodwork. 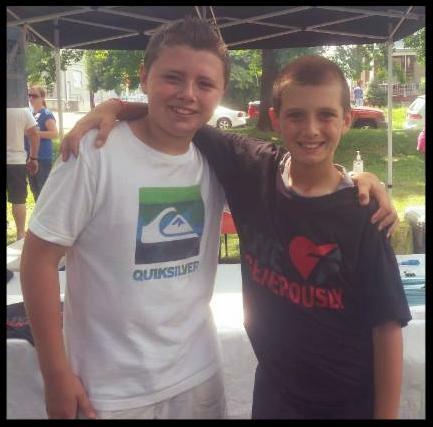 He says that "the feeling of giving back to the community is unexplainable" and invites those who have an interest in woodworking to be a part his team as a Habitat woodshop volunteer. We are looking for volunteers at our ReStore location. Our ReStore volunteer hours are Wednesdays through Saturdays from 9 a.m. to 6 p.m. and Sundays from noon to 6 p.m.
We also have opportunities for bilingual volunteers and mentors. Please contact Diane at deberhart@habitatberks.org for more information. 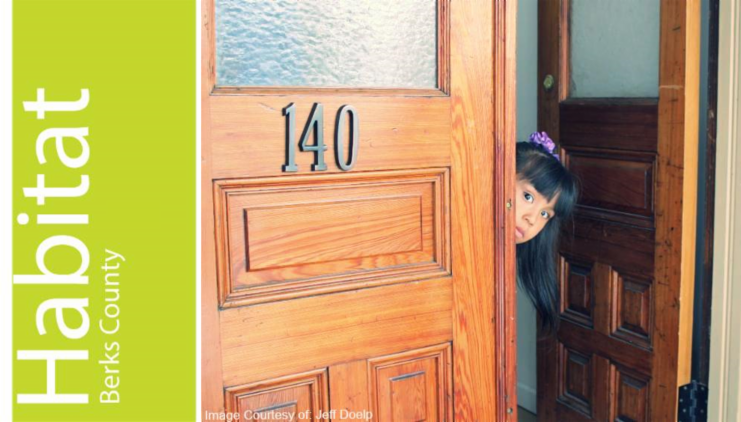 Thanks for reading this newsletter and I hope we can count you as part of the Habitat family. As a recent graduate of Albright College, I am excited to begin my role in marketing this wonderful organization that is doing such incredible things. Getting the message out to this community is such an important responsibility because you make this all happen with your donations, volunteer hours and best wishes. My goal is to keep you informed and excited about the things Habitat will be doing so stay tuned for more great happenings and I hope you will share this with your family and friends. 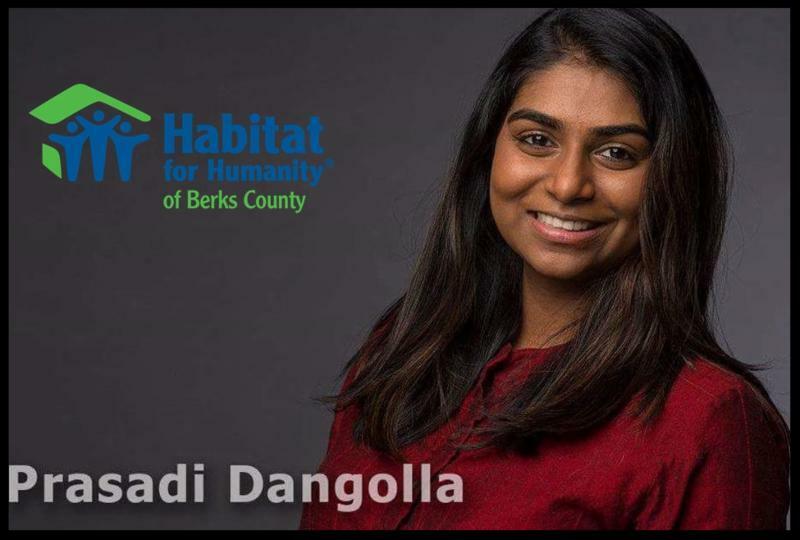 We hope that our newsletter makes you proud to live in this community as you get to know more about Habitat for Humanity of Berks County with people working hard to make sure their neighbors have opportunities to better their futures and become more stable, stronger and self-reliant members of Berks County. Stay Tuned for Information about the Birdhouse Challenge on our next edition! From All of Us...A Heartfelt Thank you! Habitat for Humanity of Berks County would like to thank you for all of your hard work! Without our volunteers and donors, Habitat would not be able to build homes for families in our program. Without you, there would be no program!